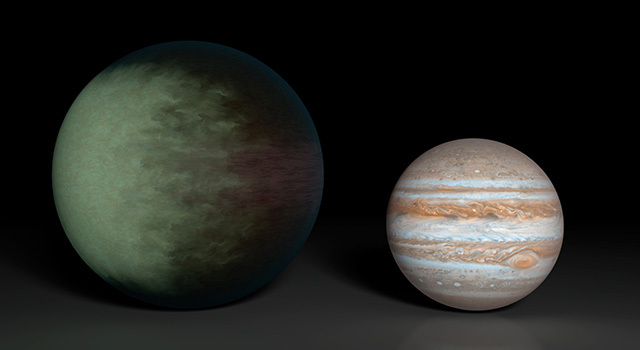 Size comparison between Kepler-7b (left) and Jupiter (right). Patchy clouds in the west and clear skies in the east. That is the current weather forecast, not for anywhere on Earth, but for a much more distant world in another solar system. For the first time, astronomers have been able to map cloud patterns on such a far-away exoplanet, it was announced on September 30, 2013. 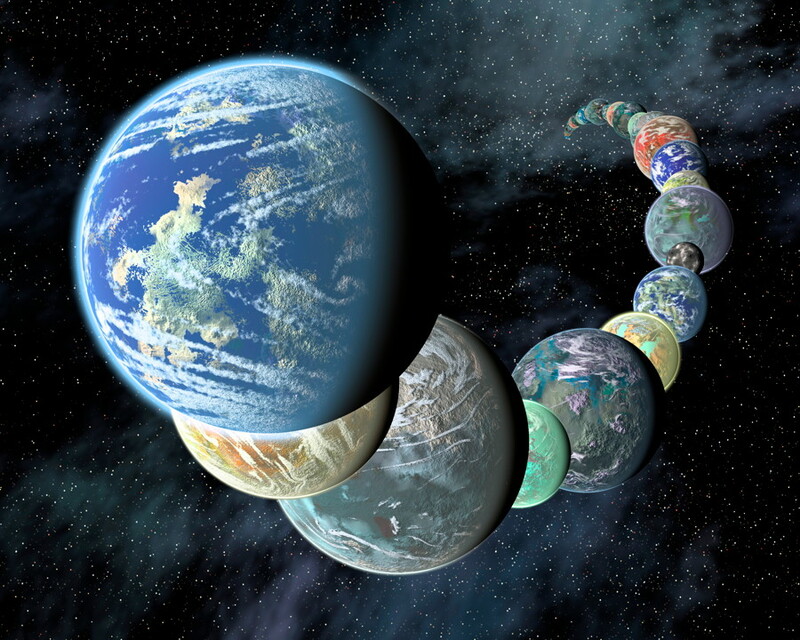 The findings come from data provided by the Kepler and Spitzer space telescopes. An amazing accomplishment, considering how incredibly far away this planet, Kepler-7b, is. Kepler-7b is a gas giant world, about 1.5 times larger than Jupiter. It orbits very close to its star, with estimated temperatures of between 815 ˚C – 982 ˚C (1,500 ˚F – 1,800 ˚F). The initial observations of Kepler-7b by Kepler indicated a bright spot in its western hemisphere, but what caused it was unknown. Follow-up observations by Spitzer revealed it to be light reflecting off cloud tops. As technology progresses, it will be interesting to see what types of clouds and weather patterns are found on many of the other thousands of exoplanets now being discovered. This is really one of the many great ” findings ” in all of studies being done ! !